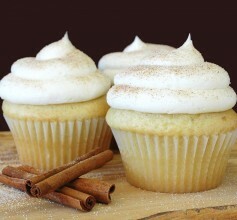 Temptation Cupcake: Buy 3, Get 1 FREE! Includes Cupcakes, Cookies, OR Drinks! Do Saturday right with delicious treats from Temptation Cupcake! Buy 3, Get 1 FREE when you mention The Dealio! Offer includes Cupcakes, Cookies, OR Drinks! *Valid 4/13.